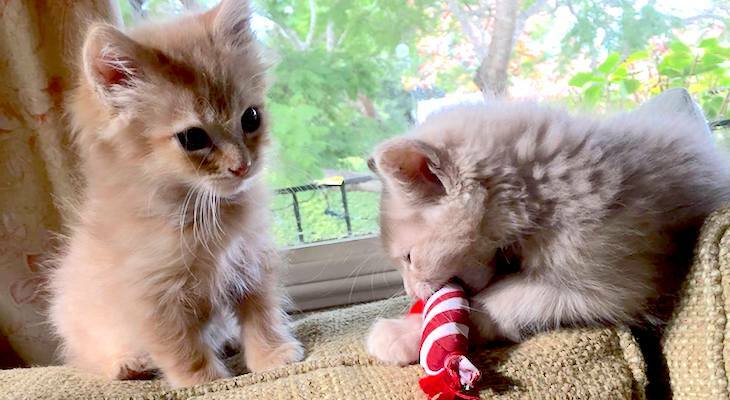 Moe and Jack were rescued in LA at the age of 3 weeks these sweet brothers had a strong will to survive as they were found abandoned after 2 days of crying in an alley. A very special thank you Kit and family and Loretta for fostering these babies and making sure they had everything they needed to thrive. Moe and Jack are now 8 weeks old, they are current on vaccinations, altered, microchipped, dewormed and as socialized and friendly as can be! We are hoping to keep them together if possible. If you are interested in adding 2 fluffy bundles of joy to your home please visit our website at www.sparkrescue.org and submit and adoption application. Thank you for choosing to adopt!